2018 NRCHA Open Futurity Champion! Achieved NRCHA Million Dollar Breeder status! 2017 NSHA Open Futurity Champion! 2016 NRCHA Open Stakes Champion! 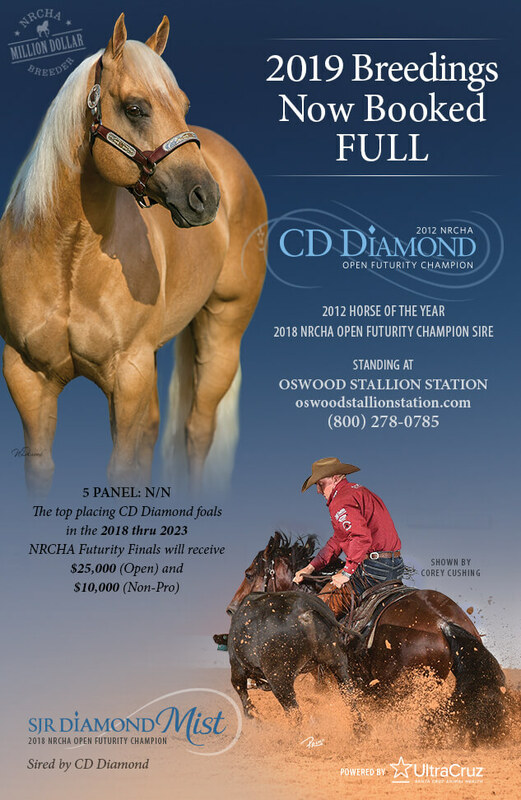 Check out CD Diamond's 2018 foals! The San Juan Ranch is a well established breeder of World Class Performance Quarter horses for Working Cow (NRCHA, NSHA), Reining (NRHA, NRBC) and Cutting (NCHA) Competition. Yearling prospects, two year olds in training and bred mares are available for purchase. In addition, the San Juan Ranch has developed an outstanding herd of purebred black, polled Gelbvieh cattle and sells Gelbvieh herd bulls, bred cows and replacement heifers.